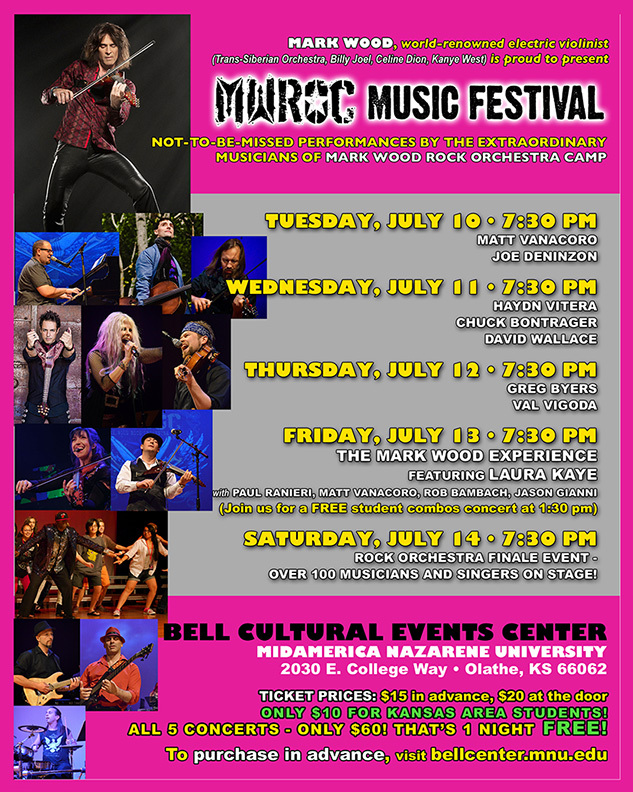 Check out our great concert lineup for MWROC Music Festival 2018! THE FESTIVAL PACKAGE: Join us for all 5 concerts for only $60! That’s one FREE night! Area student pricing ONLY $10!